Since program contiunously processes payments for nearly a month, but investments been made to Plan 1 only, then this seems to be most solid pick since all the other investment plans with miraculous earnings require deposits from 350 USD and these plans are never suggested. Program was launched with the current design and plans on Feb 11, 2019. The statistics on their website are obviously fake since they are not even close to be compared to known deposits in the hyip industry in this program. The website global ranking is yet low as since launch the Alexa rank is still at 1.5M, it is growing slowly. Payments are accepted from PerfectMoney, Bitcoin, Payeer, Ethereum, Bitcoin Cash and Dash. Dedicated currency in program is USD, crypto currecies value depend on it. Withdrawals are processed manually in 24-hour time frame, deposits are recorded instatly. The affiliate system is designed three levels of 6% – 2% – 1% from multi-level referrals deposits to your account balance which you may withdraw or invest. You don’t need to have active deposit to earn referral commissions. Program website is hosted on Cloudflare, it is running on licenced Gold Coders script, program layout design is unique. SSL connection with Extended Validation: EV SSL valid from 28 Aug, 2018 to 29 Aug, 2019 – COMODO CA Limited. You would receive $6 daily to your account balance on every calendar day. These earnings can be withdrawn at any time. Complete cycle will take 10 calendar days and your investment principal is included in daily returns. Total: $1 * 10 = $10 net profit. With including principal you have earned back $60 (120%). 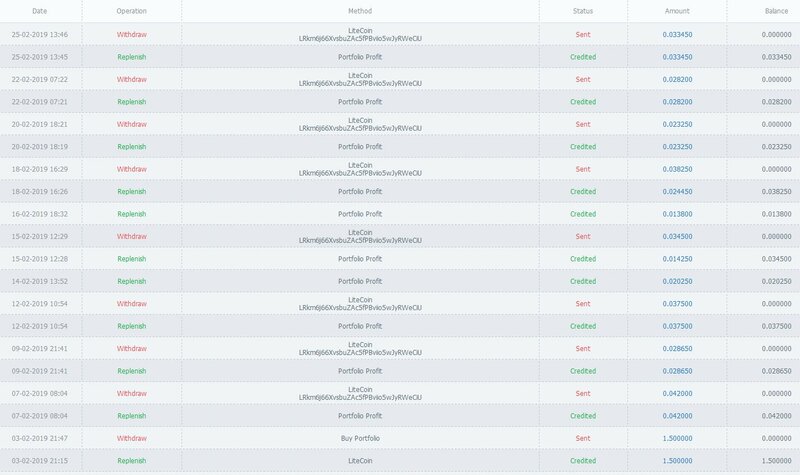 Mar 17, 2019: Finished round #1 with a result of 120% following 10 USD profit. Mar 15, 2019: Broke Even (100%), profits to follow. 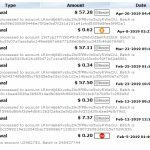 Mar 6, 2019: Joined with 50 USD deposit. This program is extended to three latest investors with deposits of 30 USD and up with the following collected prizes. 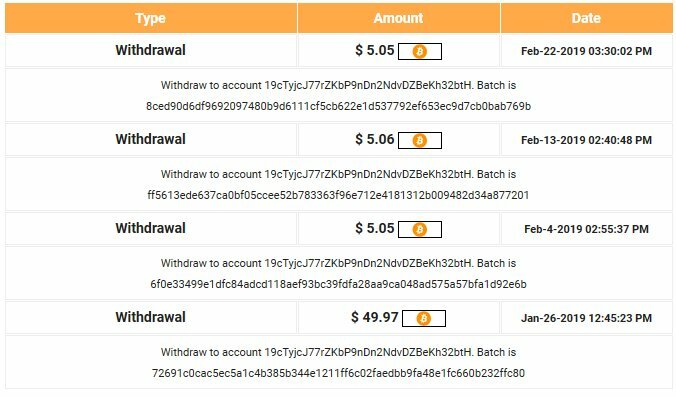 Deposit must have been done in the time frame when program is processing payouts (I have received referral commission on my wallet). The most important factor for a hyip is a stability. When this hyip program was launched on November 21, 2018 then it received significially high deposit amounts for the uniqueness and professional layout as well for their own token WNZ-system built inside. After two months online, most of earilest investors investment principals from 30-day and 60-day plans are now returned, re-investments and growth continues which is a key for program to maintain long. Their main mission seems to be selling their tokens as they offer higher earning percentage when you convert your funds to WNZ, but it is not required which means you can easily invest various cryptocurrencies (and USD) and receive principal back without any effect from WNZ token for the selected term. Available investment plans depend of how long you are willing to keep your principal active. Various payment options are included, cryptocurrencies are handled separately not depending of USD value. You may add deposits and withdraw earnings from PerfectMoney, Bitcoin, Litecoin, Ethereum, Bitcoin Cash, Ripple, Dash, Eos, Ethereum Classic and ZCash. 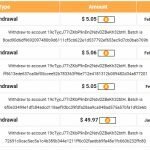 Withdrawals are processed manually in up to 24-hour time frame. The affiliate system is designed three levels of 3% – 2% – 1% from multi-level referrals deposits to your account balance which you may withdraw or invest. You don’t need to have active deposit to earn referral commissions. Program website is hosted on Cloudflare, it is running on unique advanced script, program layout design is advanced unique. SSL connection active: PositiveSSL Multi-Domain valid from 12 Oct, 2018 to 21 Apr, 2019 – COMODO CA Limite. You would receive $0.30 to $0.50 (floating) daily to your account balance on every calendar day. These earnings can be withdrawn at any time. Complete cycle will take 30 calendar days and then your full investment principal is returned to your account balance ($50). Total: $0.40 * 30 =$12 net profit. With returned principal you have earned back $62 (124%). You would receive $4 to $6 (floating) daily to your account balance on every calendar day. These earnings can be withdrawn at any time. Complete cycle will take 60 calendar days and then your full investment principal is returned to your account balance ($500). Total: $5 * 60 =$300 net profit. With returned principal you have earned back $800 (160%). 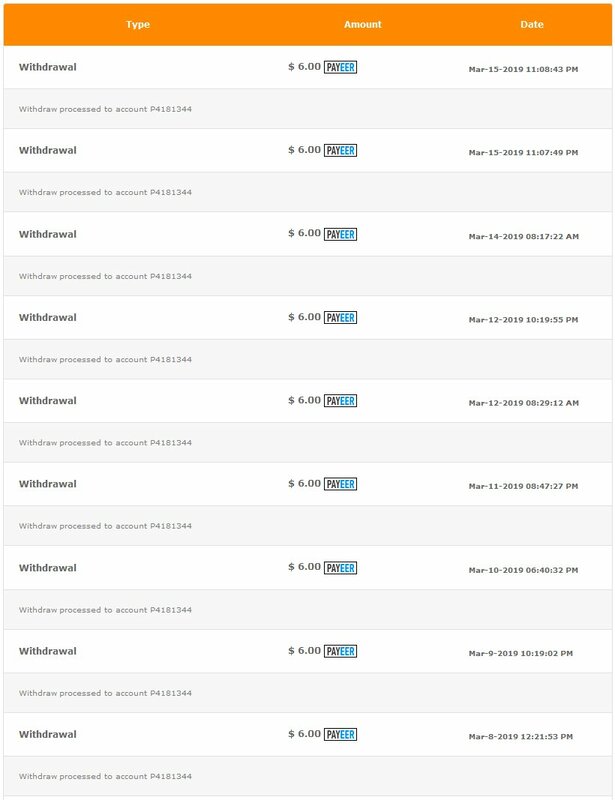 Apr 14, 2019: Went for round #2 with 50 USD deposit. 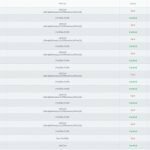 Mar 7, 2019: Finished round #1 with a result of 124.6% following 12.31 USD profit. 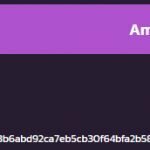 Feb 3, 2019: Joined with 50 USD deposit. This program is extended to three latest investors with deposits of 50 USD and up with the following collected prizes. 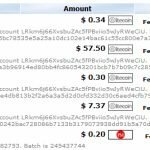 Deposit must have been done in the time frame when program is processing payouts (I have received referral commission on my wallet). Since launch on October 4, 2018 the program have completed 10-day cycles continuously without taking a break. Considering the basic Gold Coders design factor we can say it is yet a “sleeper” which is expected to get new layout design and more investment plans soon. There are two investment plans to go as of Today, following with deposits allowed up to $500. Keep your one active spend up to $150 to one of the investment plans and you'll keep the line positive. Don't ruin it with higher amount active deposit and we'll do well in this program. Various payment options in program, you may add deposits from PerfectMoney, Bitcoin, Litecoin and Dash. All operations including withdrawals are processed instantly from program. Manual withdraw for cryptocurrencies though. The affiliate system is one level of 1% from direct referrals deposits to your account balance which you may withdraw or invest. You don’t need to have active deposit to earn referral commissions. Program website is hosted on Cloudflare, it is running on licenced Gold Coders script, program layout design is basic. SSL connection active: CloudFlare Inc ECC CA-2 valid from 04 Oct, 2018 to 04 Oct, 2019 – CloudFlare, Inc.
You would receive $0.57 daily to your account balance on every calendar day. These earnings can be withdrawn at any time. Complete cycle will last 10 calendar days and then your full investment principal is returned to your account balance ($50). Total: $0.57 * 10 = $5.70 net profit. With returned principal you have earned back $55.70 (115%). Your investment principal ($50) and earnings are locked for 10 days and after maturity you will gain back $57.50 following $7.50 net profit which is included. 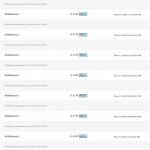 With included principal you have earned back $57.50 (115%). Apr 20, 2019: Finished round #3 with a result of 115% following 7.50 USD profit. Apr 8, 2019: Went for round #3 with 50 USD deposit, to after-plan. Mar 22, 2019: Finished round #2 with a result of 115% following 7.50 USD profit. 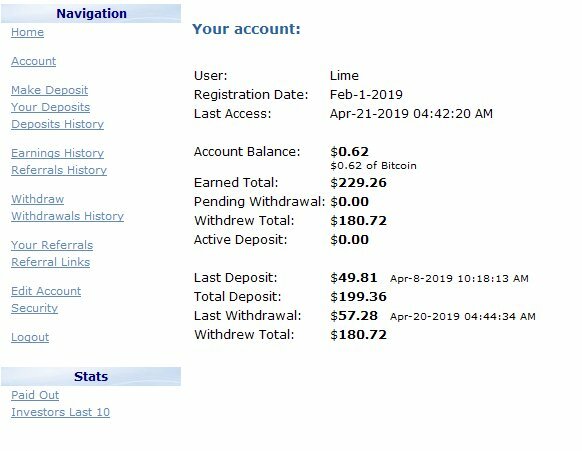 Mar 11, 2019: Went for round #2 with 50 USD deposit, to after-plan. Feb 23, 2019: Finished round #1 with a result of 130% following 15 USD profit. 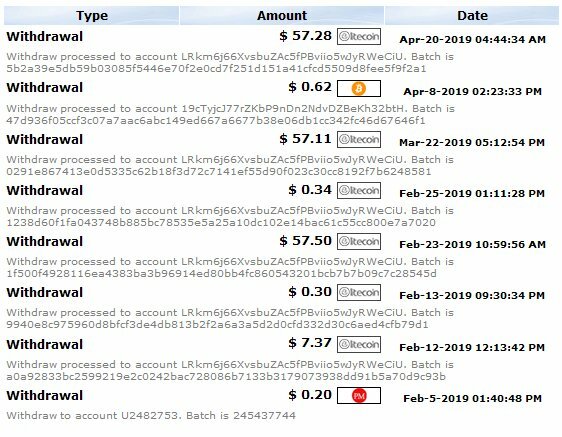 Feb 12, 2019: Cycle finished and re-invested 50 USD deposit. 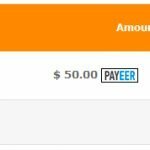 Feb 1, 2019: Joined with 50 USD deposit, to after-plan.